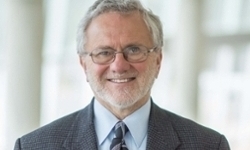 UNMC › Pathology and Microbiology › Faculty › Bios › Samuel M. Cohen, M.D., Ph.D.
Samuel M. Cohen, M.D., Ph.D.
For full details of Dr. Cohen's research, please visit his lab's webpage. Fd. Chem. Toxicol., Toxicol. Pathol. Crit. Rev. Toxicol., Toxicology, Reg. Toxicol. Pharmicol, Int. J. Oncology, Urologic Oncology, Toxicol. Pathol., Pathol. Intl., Crit. Rev. Toxicol., Toxicology, J. Toxicol. Numerous committees & panels with NIH, EPA, FDA, WHO, IARC, IPCS, national and international scientific organizations. Cohen, S.M. The relevance of experimental carcinogenicity studies to human safety. Curr. Opin. Toxicol., 3: 6-11, 2017. Cohen, S.M. Screening for human urinary bladder carcinogens: Two-year bioassay is unnecessary. Toxicol. Res., 7: 565-575, 2018. (PMID: 30090607) DOI: 10.1039/C7TX00294G. For a detailed list of publications, click here.